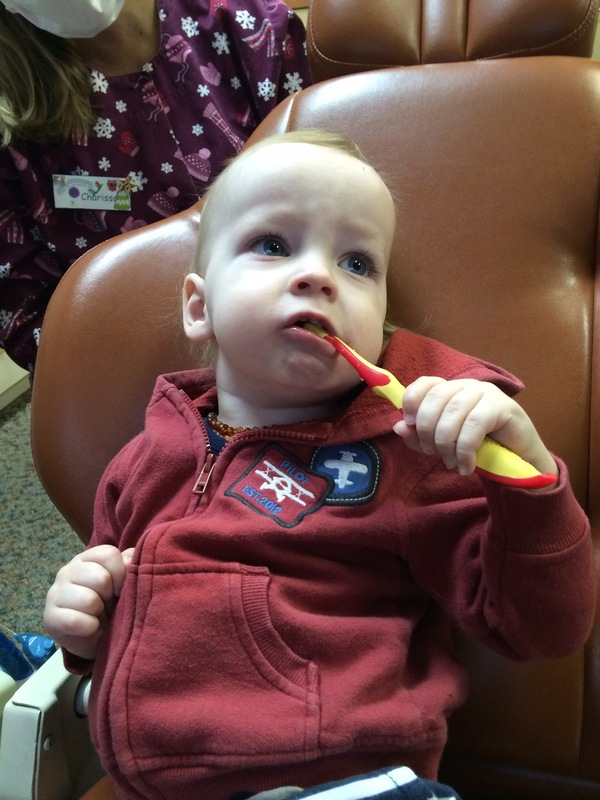 I just realized while scrolling through pics of all our birthday fun that I can’t miss a post about Coen’s first trip to the dentist. 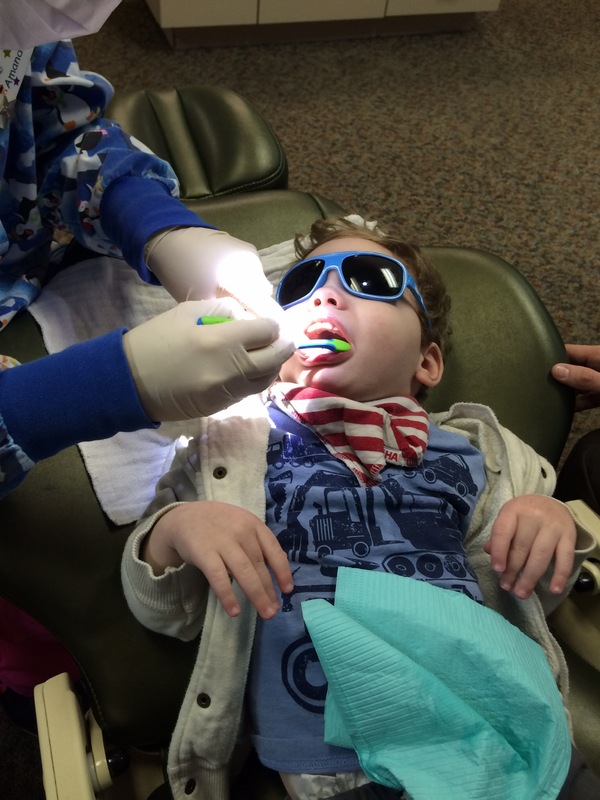 Sure, he only has 10 teeth, but since Addie and Beckett had appointments anyway, why not get Coen in on the fun. He actually did really well for the hygienist. She was able to polish the front of all his teeth and maybe a molar or two. He wasn’t thrilled with the metal mirror the dentist stuck in his mouth, but aside from that, a successful visit. 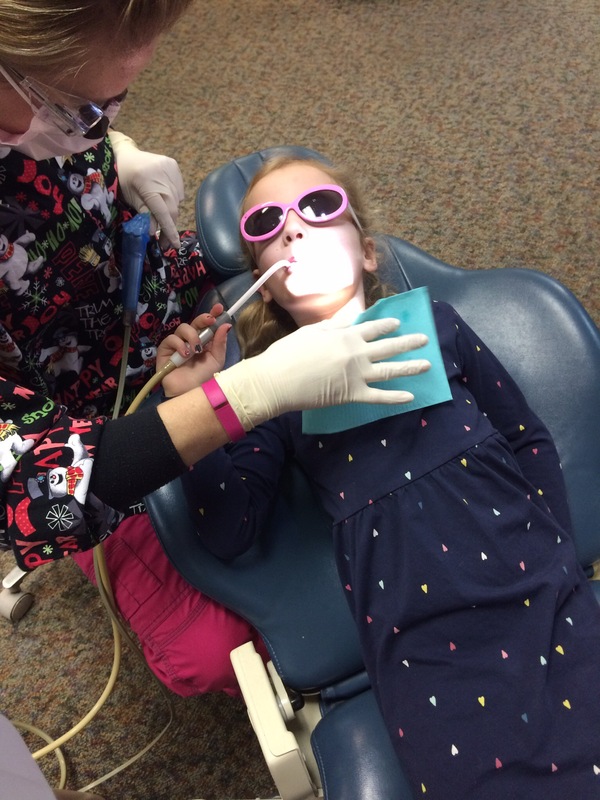 Three kids, no cavities. I’ll take it! Coen walked around chewing on his new toothbrush for two days after!